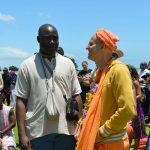 After a six week stay in Mayapur, Kadamba Kanana Swami arrived in Cape Town on Saturday, 20 December, for a short visit. 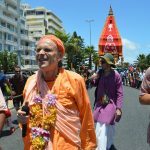 After just a night of rest, Maharaj participated in the Snana Yatra festival where he led a melodious kirtan and thereafter spoke on the glories of Lord Jagannatha. 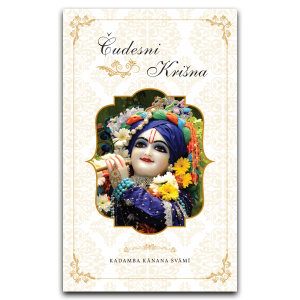 At the end of the program, Maharaj encouraged the audience to purchase Srila Prabhupada’s books and either distribute them on the streets or give out as gifts. 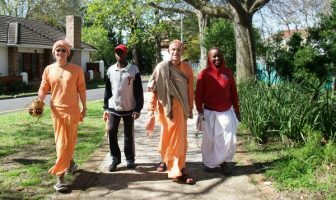 Many disciples travelled from around the country to see Maharaj and even though he was still recovering from the recent busy days in Mayapur, still he made time to engage with them. 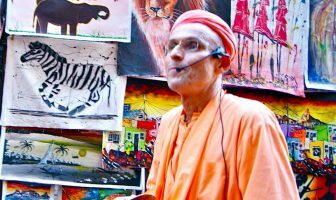 He gave daily morning Srimad Bhagavatam classes, as well as evening classes which started with a lengthy kirtan portion and it was a definite crowd-pleaser. On Monday evening, 22 December, a disciple gathering was held in the loft of the temple. 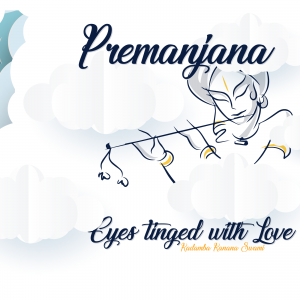 It was an intimate program which began with Maharaj reading a pastime from the Sri Govinda Lilamrta by Krsnadasa Kaviraja Goswami and he went on to speak about the sentiments of refinement and indebtedness in our relationships with devotees. 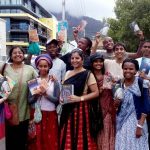 The annual book marathon prize-giving was held on Christmas Day and was attended by HG Medhavi Prabhu (ACBSP) as well. 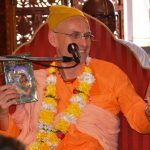 Book scores surpassed those from recent years and Maharaj was impressed by the efforts of the devotees. 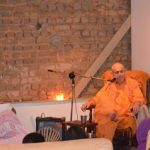 The next day, an initiation ceremony took place with both Kadamba Kanana Swami and Bhakti Caitanya Swami giving initiation. 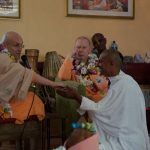 Two devotees received initiation from Kadamba Kanana Swami. 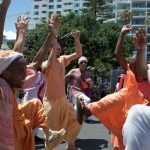 Veshal (from Durban) is now Virabadra das and Domagoj (originally from Croatia) is now Dharmasetu das. 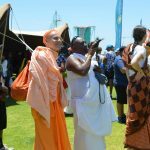 It was a nice occasion as both are enthusiastic sankirtan devotees. Three devotees also received second initiation. 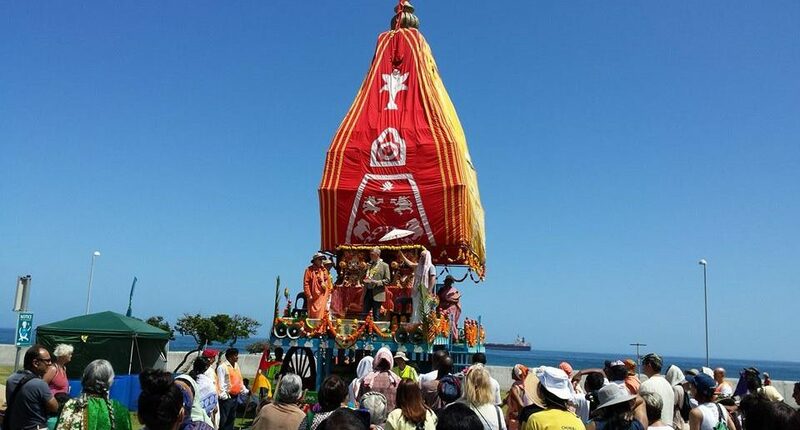 Ratha Yatra happened on 27 December, in the affluent, picturesque suburb of Sea Point. 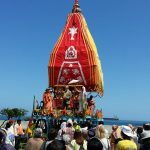 It was a beautiful, sunny day and the procession began at around 10h30. 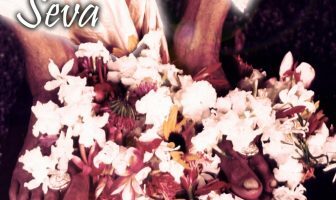 Bhakti Caitanya Swami, who was seated on the chariot, introduced the festival the crowd and Kadamba Kanana Swami led an amazing kirtan which from the onset was quite lively. Towards the end, things got even more ecstatic and included the sweet sounds of a trumpet as well as a South African favourite, the vuvuzela (African horn). 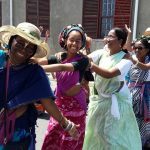 The procession attracted a wide variety of residents and visitors to the cosmopolitan city of Cape Town. 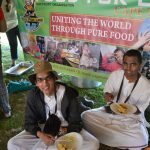 After the procession, a ‘Food for Life’ tent welcomed all with delicious prasadam. Maharaj engaged in conversation with some interested people before heading back to the temple. 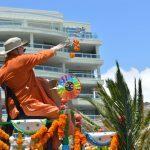 However, the Ratha Yatra procession was clearly not enough for Maharaj. 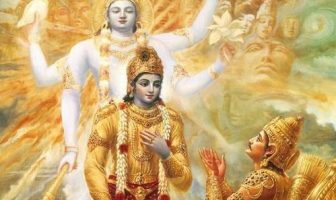 After returning to the temple, he gave a spontaneous afternoon class to the delight of the devotees that were around. 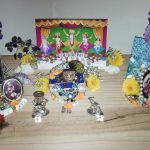 Finally, on Sunday, Maharaj shared the Sunday Feast class with Bhakti Caitanya Swami where they spoke further about the significance of Ratha Yatra. On 29 December, he departed South Africa for Munich, Germany. Visit flickr to see all the pictures.